In early January the California Water Board (SWRCB) published its long-anticipated draft proposal for a statewide low-income water bill assistance program. I’ve blogged about it over the past few weeks*; in this final (I think) post on the proposal, I’ll look at how the SWRCB proposes to pay for the estimated $606 million annual program. A sales tax on bottled water. The income tax would generate an estimated $466 million annually, while the bottled water tax would generate $154 million. Under California’s Byzantine pubic finance laws both taxes would require supermajorities in the state legislature. The bottled water tax would also have to pass a ballot referendum. Progressive taxation is crucial to any low-income assistance program, since the whole point is to transfer resources to people who are short on them. A millionaire’s tax makes sense from that perspective; a person whose income tops $1 million annually likely has little difficulty paying his/her water bill, and it’s doubtful that an additional 0.25% tax will much constrain productivity or lifestyle for people with seven-figure incomes. The bottled water tax is thornier. It’s common for those of us who work on American drinking water issues to think of bottled water as a luxury good. Bottled water is orders of magnitude more expensive than tap water, after all. It also carries some severe negative externalities: it’s lightly regulated, uses lots of energy to produce and transport, and empty bottles create a huge solid waste problem. For all those reasons, taxing bottled water would be progressive, in theory. In practice, the progressivity of a bottled water tax isn’t so clear. 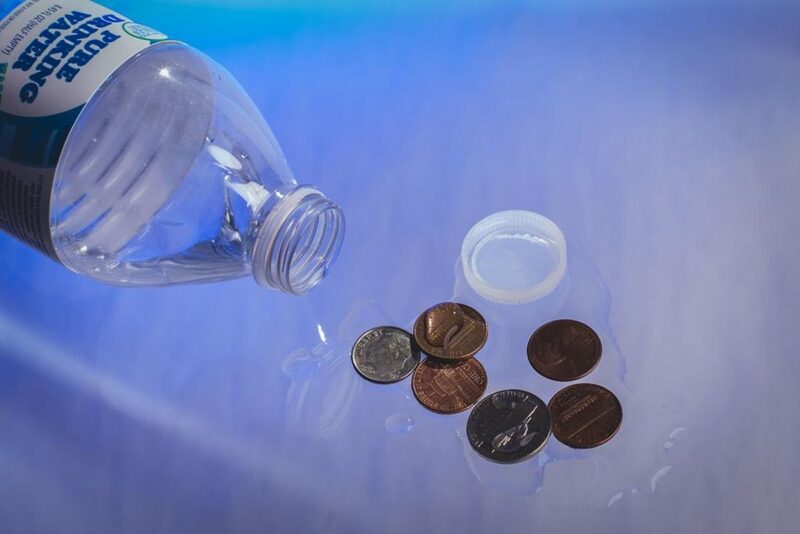 Counterintuitively, in America bottled water consumption is negatively correlated with income—that is, poor and working-class Americans drink much more bottled water than do middle-class and wealthier Americans. Study after study after study show that low-income people and members of racial/ethnic minorities are much more likely to drink bottled water. Why do lower-income people pay orders of magnitude more for bottled water, when affordable tap water is available? From a health and efficiency perspective, that isn’t rational behavior. It might be cultural, it might be taste/odor preferences, it might be about distrust in government, or it might be something else entirely. In some cases, people served by the smallest, poorest communities that suffer from poor water quality might need bottled drinking water. Raising the cost of bottled water might have the perverse effect of pushing low-income households to drink more soda and sugary beverages. Whatever the reason for the income-bottled water relationship, the distributional effect of the SWRCB’s proposed tax is clear: the poor will bear a disproportionate burden of any bottled water tax. 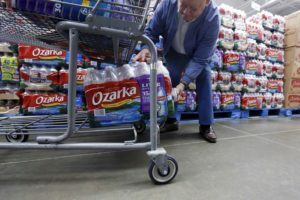 When you consider that a significant proportion of eligible households will never actually participate in the assistance program, a bottled water tax becomes doubly regressive. So where do we get the other $150 million? There’s an intuitive political appeal to using a water-related tax to raise money for water bill assistance.† What kinds of water taxes could be progressive? Here are a couple of half-baked ideas (I don’t have the time or data to bake ’em). 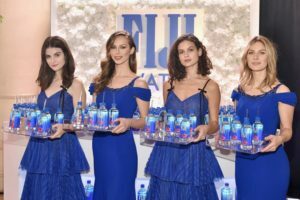 You see “Fiji Girls.” I see tax collectors in cocktail dresses. A tax on “luxury” bottled water. Poor folks aren’t buying $5.00 bottles of FijiWater; they’re buying $9.99 cases of Ozarka at Walmart. A sales tax on water that retails for more than $1.00 per liter would spare the lowest-income households, and probably wouldn’t push them into drinking sugary beverages. A tax on residential tap water consumption over 12,000 gallons per month. At 50 gallons per capita per day (reasonably efficient indoor use), a family of four uses about 6,000 gallons per month. In the vast majority of situations, residential water consumption beyond 12,000 gallons a month is for discretionary outdoor use. A main drawback to this kind of tax is that it would irritate water utility managers, who don’t want to act as the state’s tax collectors. A combination of these two taxes could generate significant revenue without putting the revenue burden of low-income assistance onto the people that it’s intended to help. *In the past few posts, I’ve summarized the proposal, discussed its potentially perverse incentives for ratemaking, pondered its implications for struggling small systems, and options for administering assistance. In early January the California Water Board published its long-anticipated draft proposal for a statewide low-income water bill assistance program. In the past few posts, I’ve summarized the path-breaking proposal, discussed its potentially perverse incentives for ratemaking, and pondered its implications for small system consolidation. In this post, I take up that crucial but oft-overlooked dimension of public policy: administration. The draft proposal acknowledges that administering a brand new social welfare transfer program will be costly and complicated. The low-income water rate assistance program will need to be advertised, applications processed, incomes and personal data verified, customers enrolled, and so on. Then the benefits themselves would need to be distributed in some way. Participants will need to renew their eligibility periodically, which will require re-verification. Audit procedures will be needed to guard against fraud and abuse, and appeals processes established to provide recourse to those wrongfully denied benefits. 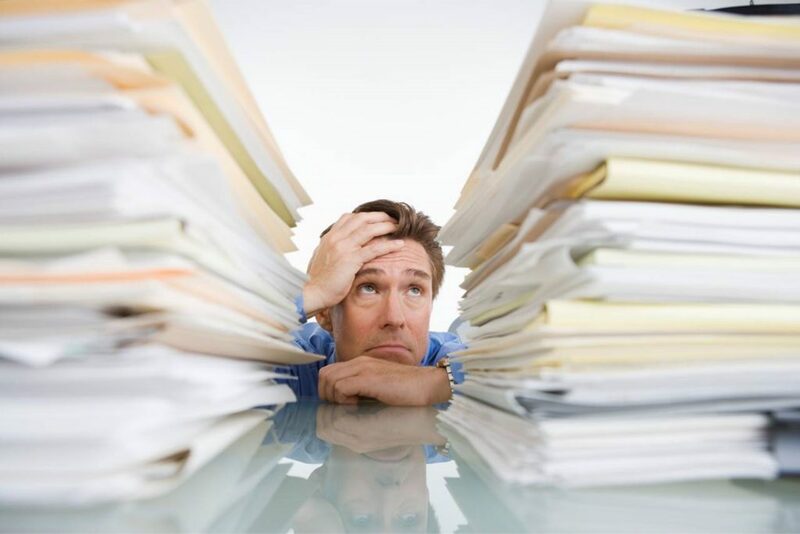 The draft proposal punts on who exactly would do all that administrative work. The first option might seem most obvious, but the draft report correctly observes that many benefit-eligible households may not receive water bills directly, because they live in multifamily or rental housing and so pay for water service through their rent. Options #2-4 have the potential to reach more households. Options #3 and #4 most closely approximate the received wisdom of welfare research, which suggests that benefits work best when they are received directly by their beneficiaries. But there’s much more to a low-income assistance program than handing out benefits. Conspicuously absent from the draft report is discussion of the many other aspects of administering a new assistance program. Here are some options. Asking for help ain’t easy. Giving it ain’t, either. Utility administration. Water systems could administer the program on behalf of the state (several California investor-owned utilities already run assistance programs, for example). Utility organizations are, by and large, unaccustomed to administering social welfare programs. Recently I’ve had the opportunity to study a handful of water utilities that administer low-income assistance programs. I found that, when water utilities get into the low-income assistance game, utility staff become de facto social workers. Water customers who apply for assistance often struggle with multiple health, financial, legal, and perhaps cultural problems. It is impossible not to make a human connection in such cases. Laudably, the utility folks I’ve met who administer water assistance programs work hard to do so humanely and responsibly. But welfare administration is, at best, an uneasy fit for many utility organizations. 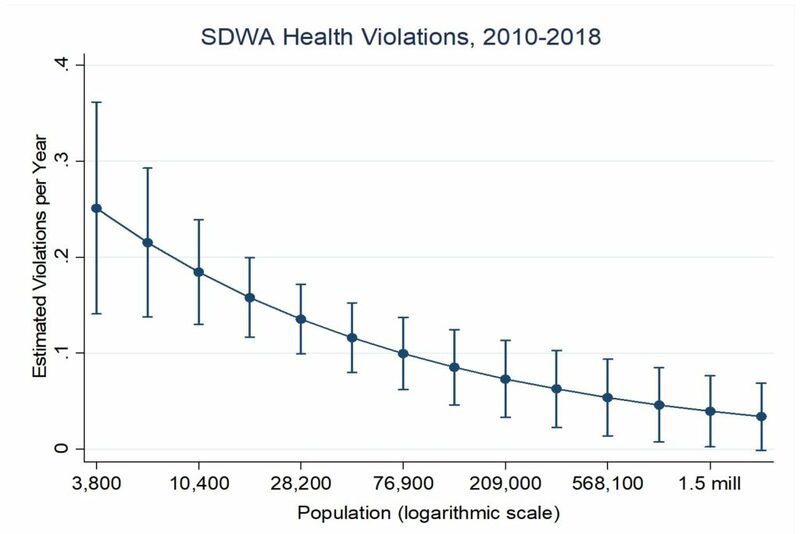 Moreover, the burden of administering an assistance program would be especially onerous for the very small systems that already suffer disproportionately from high prices and poor water quality. State administration. The California Water Board (or some new agency) could create a new organization to administer the program. This sort of centralized administration could provide economies of scale and help ensure uniformity and fairness across the state. On the other hand, state administration would involve significant new investments in staffing and other administrative infrastructure, all of which would be subject to the vagaries of state politics. Nonprofit administration. Water bill assistance could be administered through community-based nonprofit community service organizations like the Salvation Army or St Vincent DePaul Society. In addition to providing direct charitable aid, such organizations often are conduits for government assistance programs like LIHEAP. 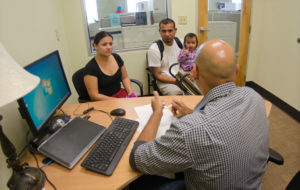 Many of these nonprofit organizations employ sizable, multilingual staffs that include social workers, nutritionists, lawyers, and other professionals who help low-income individuals and families navigate the often confusing and sometimes humiliating process of applying for benefits. These organizations’ expertise, flexibility, and familiarity with target populations offer perhaps the most promising avenue for administration. Also missing from the California Water Board’s draft proposal—and most of the broader discussion of low-income water bill assistance—is consideration of the administrative burdens that water customers would have to bear in order to receive benefits. Learning about the assistance program, applying, demonstrating eligibility, ensuring receipt, and reapplying are time-consuming and sometimes humiliating processes. These costs may be especially significant for people with low literacy or limited English proficiency. Potentially eligible people may forego benefits if the application process is too burdensome, if they perceive a social stigma associated with public assistance, or if they do not trust government. Taken together, administrative costs—to the state, to utilities, and to low-income households—are a big part of why I’ve argued that rate structures, not assistance programs, offer the most promising path to water affordability. Low fixed rates and low prices for essential water use make water affordable for everyone. Unlike assistance programs, affordability through rate design doesn’t create new administrative costs, and doesn’t make customers endure intrusive and burdensome application processes. As policymakers grapple with water affordability in California and beyond, they should consider ways to help encourage utilities to price water more affordably alongside bill assistance efforts. In early January the California Water Board released its draft proposal for a statewide low-income water bill assistance program. My last couple posts summarized the proposal and discussed the perverse incentives for rate design that the subsidy might create. 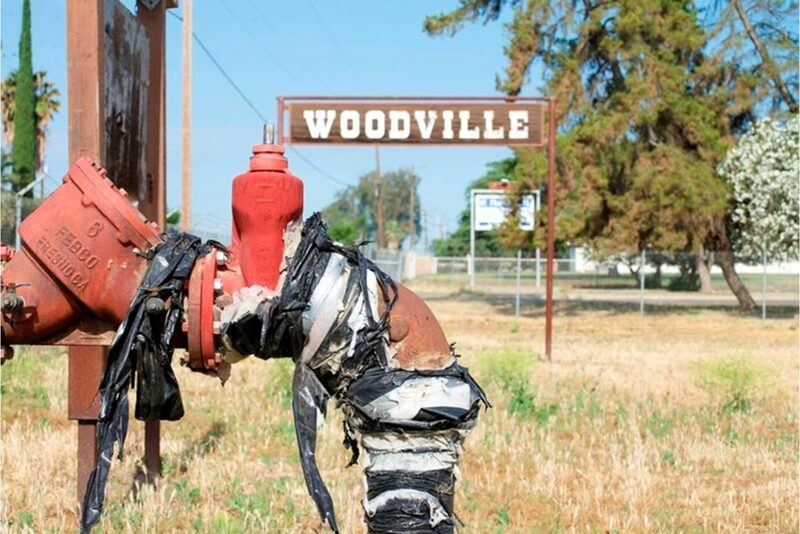 Continuing the theme of unintended consequences, this one looks at what the statewide assistance program might mean for poor-performing small water systems. All else equal, when it comes to water systems, bigger is better. Water and sewer systems require big infrastructure investments and lots of operating costs to work. When those costs can be spread across large numbers of people and businesses, the average price of water is lower. That makes utilities textbook examples of economies of scale. Less obviously, the organizations that operate utilities also are subject to economies of scale. Larger organizations can hire and retain higher-quality employees and maintain specialized personnel. As my past research work with David Switzer has shown, these advantages help larger water systems take advantage of human capital in ways that smaller systems can’t. Larger systems also enjoy significant financial advantages. Larger customer bases tend to be more economically diverse, providing a degree of financial stability to a utility. Financial markets favor large utilities, too, allowing them access to finance capital at lower interest rates than their smaller cousins. Thing is, just as in the rest of the United States, most of California’s water utilities are really, really small. 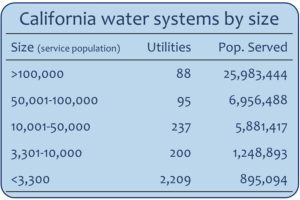 More than three quarters of California’s 2,800 water systems serve fewer than 3,300 people, but collectively serve just 2% of the state’s population. Meanwhile, the 183 largest systems serve 80% of the state’s population. Affordability also correlates with system size. So do poverty, income, and unemployment. My recent analysis of water and sewer rates nationwide shows that, all else equal, both AR20 and HM decline as utilities increase in size—that is, on average, water and sewer affordability gets better as utilities get bigger. Analysis based on nationally representative data, 2017. Spikes show 95% confidence intervals. That small systems struggle is no secret, and California has in recent years sought to encourage system consolidation through a variety of carrots and sticks. The process is slow, however, and fraught with political conflict. Consolidation is not a panacea, and there are plenty of struggling large and medium-sized systems. But the data are clear on this point: on average, with water utilities, bigger is better. What does all this have to do with low-income assistance? The proposed program would transfer significant resources from relatively affluent to relatively poor communities. 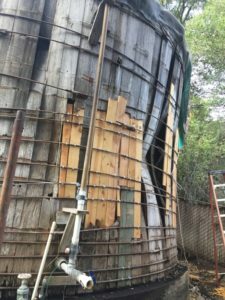 In many cases, those communities are served by the small, perennially underperforming utilities that too often provide lousy water quality at very high prices. Financial pressures from ratepayers are among the strongest incentives for small utilities to consolidate. A low-income assistance program will disproportionately benefit customers of those systems (which is good), but could inadvertently prop up systems that would otherwise move toward consolidation due to financial pressures (which is bad). To some failing small systems, low-income assistance could be financial life support system. I’m not an engineer, but this seems bad. But if structured correctly and implemented carefully, low-income water assistance could help drive small system consolidation. Financial assistance for low-income customers could make consolidation more attractive for the larger utilities and private firms that might otherwise be reluctant to take on the responsibility for troubled small systems with less affluent customers. More directly, the state could make assistance funds contingent on consolidation or compliance with SDWA management requirements. Statewide assistance might be a potent lever to push recalcitrant small systems toward consolidation and its blessings. That’s why statewide low-income water bill assistance should not be considered in isolation, but rather as part of a comprehensive strategy to improve water systems. The same applies to any plan for a national water affordability assistance program. Whether a statewide assistance program would prop up failing small systems or lever them into consolidation and sustainability will depend in large part on the administrative structures and processes used to implement the program. I’ll take up those administrative angels and devils in my next post. *Fitted with a negative binomial regression. †There are probably another dozen or so studies that I could link here.